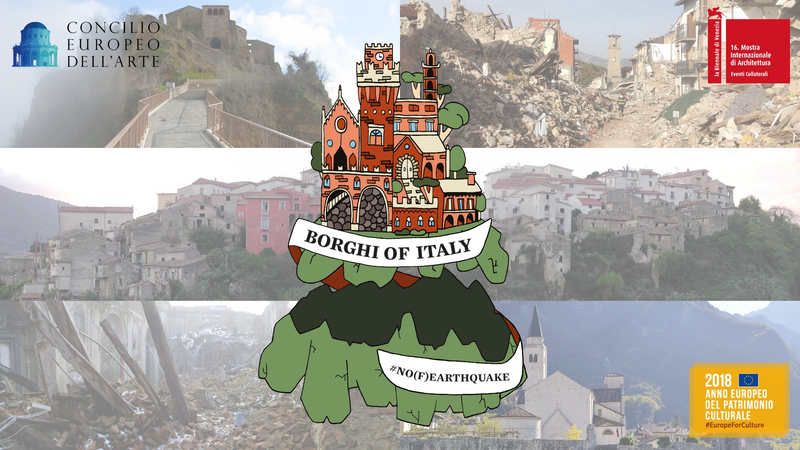 The Concilio Europeo dell’Arte is pleased to invite you to the next conferences co-organized with the Università IUAV di Venezia to complete the Collateral Event of the 16th International Architecture Exhibition – La Biennale di Venezia “Borghi of Italy – #NO(F)EARTHQUAKE”. The conference “Amatrice: un paese raso al suolo” (“Amatrice: a village on the ground”) will be held in Aula L2 S. Marta – Ex Cotonificio Università IUAV di Venezia on Friday, 09th November 2018 from 14.00 to 18.00 and it will discuss the problems connected to the emergency and the reconstruction after the earthquake. A reconstruction that would combine the security of the territory and the conservation of cultural heritage, never forgetting the local identity. “Civita di Bagnoregio: la città che (non) muore” (“Civita di Bagnoregio: the village that (does not) die”) will be based on the Borgo as a workshop for experimentation and management of the seismic risk in a difficult environmental conditions. The speeches will also consider the actions of the inhabitants and the Local Administration to re-activate and re-vitalize the territory. The conference will be held in Aula Tafuri – Palazzo Badoer of the Università IUAV di Venezia on Thursday, 15th November 2018 from 10.00 to 18.00. To complete this cycle of conferences and symposia “Il Parco a Ruderi del Comune di Auletta: la memoria del terremoto” (The Park of Ruins of Auletta: the memory of the earthquake”) on Tuesday, 20th November 2018 in Aula Tafuri – Palazzo Badoer of the Università IUAV di Venezia from 10.00 to 18.00. Auletta still presents the consequences of the earthquake of Irpinia that in 1980 affected the region of Campania and Basilicata. The symposium will discuss the decision of the Local Administration to preserve a destroyed part of the historic village as a way to remember.